We offer every type of curtain track to furnish all styles of windows, ranging from standard windows to complicated multiple bend bays. 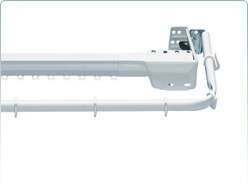 They are affordable, functional, easy to fit and are usually the most practical solution for furnishing windows with curtains. 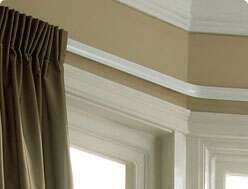 In this section we categorise all the types and styles of curtain track that is available. 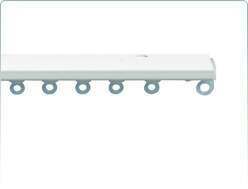 These include both metal and plastic tracks, corded or uncorded, hand bendable, wall and ceiling fix, extendable, extra long, double and many more. 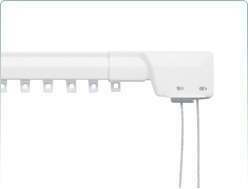 Products with cord controls are ideal for operating curtains in tall or obstructed windows, extendable and extra long are suitable furnishing patio doors or extra large windows and hand bendable are ideal for all shapes of bay windows. 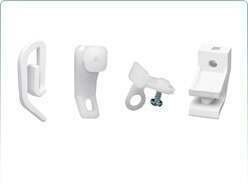 All accessories and spares such as replacement brackets, extra gliders and curtain hooks are available within this section. 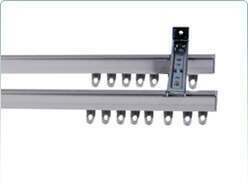 Adding extra brackets will provide more support and additional gliders can be purchased which may be needed for curtains with multi pocket tape headings, such as pencil pleat curtains. 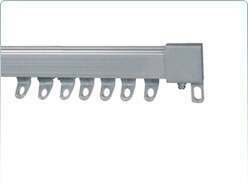 This section explains not only how to measure and fit, but also the differences between the styles and the functions that allow each track to perform better with certain types of window. 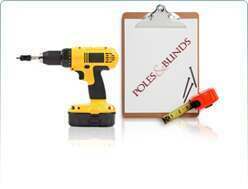 Detailed fitting instructions are always supplied with all our products. We list the recommended retail price and then apply our discounted price. We are constantly checking to ensure that our prices stay competitive. Our special offer section displays all the products with extra discounts applied. Our special offers are for a limited period only, but are applied to all of our top brands including Silent Gliss, Integra, Swish and Speedy.